Idiot savant Ed Kiniry-Ostro has been seen in numerous works including: "It’s Always Sunny in Philadelphia", "How I Met Your Mother", "Arrested Development", and "Happy Endings". His comedic web series, "Roomiess", has been a critical darling nabbing The Advocate's "Hot Sheet" and is now in development for TV with Retrofit Films. Also a singer, he's a founding member of The Silver Lake Chorus, whose debut album dropped in 2015. The Wall Street Journal has named their work "ornate and complex" and in 2016 they received a Grammy nomination (Best Remixed Recording). His first short film, "Hold Up Heart", made the festival rounds in 2014 garnering several nominations including Best Comedy. 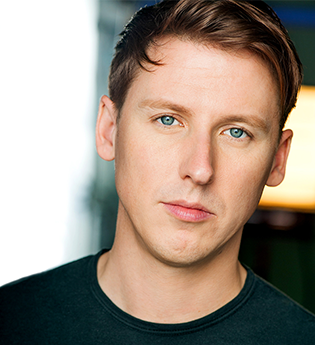 A graduate of California Institute of the Arts, he has performed and studied at IO West and The Groundlings, his theater credits extensive working from coast-to-coast. You can catch him regularly performing stand up throughout LA and at his monthly show Parallel Thinking. A native of Maine, Ed knows "you can't get there from here." Edward Kiniry-Ostro is an actor and director, known for Hold Up Heart (2014), Arrested Development (2003) and The Soloist (2009).